We live in a rushed, high input culture, where distractions are non-ending. This is true, whether you are a Mom with young children or a senior adult as I am. To have an effective time of Bible study requires being purposeful. Several years ago, I learned this important truth. Since then, Bible study has been a part of my daily schedule. I have a regular place and time for Bible study. For me, the place is my lift chair, mainly because sitting at a desk or table causes pain from my chronic illnesses to be a distraction. You know what place works best for you. The tim is as soon as I finish breakfast. And my Bible, journal, pen, and reading plan are on a shelf next to my chair, ready to use. My iPad is also available since many of the resources I use during my study time are online, but I’ve made a commitment not to be distracted by checking email or social media until my study time is over. Each of us have different distractions to deal with, but the key is finding the time and place where they are minimized. Each year, I choose a specific reading plan. In 2015, I used a chronological through the Bible reading plan. This year, I’ve chosen a plan that covers one book at a time, one chapter a day, allowing me to spend more time digging into the chapter. And I’m supplementing this with a Bible study through God-Living Girls, a group of ladies who all suffer with chronic illnesses. Now, with the plan ready and supplies waiting, what do I actually do? I start with a brief time of prayer, asking God to speak to me and to open my ears to listen. If I’m aware of any sin that would separate me from God, I confess it before starting. Next, I read the chapter for the day, from start to finish. Sometimes, I use the YouVersion Bible app to listen to the chapter and follow along in the text. This gives me an overview of the material that I’m studying. Then I ask God to show me which verses He wants me to focus on today. I’ve already read the full chapter, so I’m aware of the context of the shorter passage. I also reflect on what the passage meant to the original readers. I take notice of key words in the passage. Often, this step includes studying one or two words in the original language so I fully understand the meaning. Now it’s time to slow down and listen. Usually God has a specific application for me in the passage, but if I rush through this step I might miss it. Finally, I journal about what God is showing me from this passage. This might be a brief as one or two paragraphs, or if God is dealing with a major area of application I’ve sometimes written several pages. After I complete my study of today’s passage, I use an app called Scripture Typer to review verses I’ve been working on memorizing. If God is speaking to me from a specific verse from today’s passage, I might add that to my list of verses. This app not only helps me memorize the verse, but it sets up a regular schedule of reviewing verses so I don’t forget them. Then I close my quiet time with prayer. Bible study by itself doesn’t change our lives – we must follow thought with the applications God has shown us. 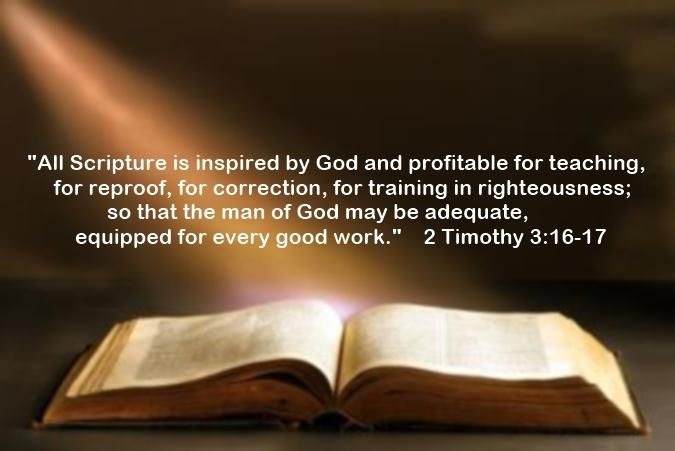 D. L. Moody said, “The Bible was not given for our information but for our transformation.” The effectiveness of your Bible study can best be seen by the positive changes in your life. Thank you for sharing your thoughts about bible study at The Loft. You are so right, we have to be purposeful to find time to study or it won’t get done. I like the steps you shared about how you actually study as well. Thanks for reading my post and commenting. I’m aware that my steps for study won’t work for everyone, especially for mom’s with young children. In those days, I seldom had more than ten minutes for reading my Bible in the morning. But ideally, using these steps, when time allows, brings out the debth of the passage and makes it result in lifelong change. Thank you for sharing this! I’m glad I stopped by to read this post. I love your method of working through scripture and some of what you mention here is similar to what I mention in my own post. I like that you know what is a distraction for you and you take steps to remove the distraction- even discomfort- from your time so that you can be invested. One of the things you mention that I didn’t focus on so much was be clued in enough to know which verses the Lord was bringing to your attention ❤ Coming to you from The Loft! Ren, thanks for reading my post and responding. As far as choosing one or two verses to focus on, I usually just try to be quiet in the Lord’s presence, and see if He speaks to me. For example, this morning I read Exodus 2, and I noticed that with each plague in this chapter Pharoah was willing to compromise with God’s demands through Moses but still he was still not ready to fully let the Israelites go into the wilderness. While He had continued to show mercy and grace to the Egyptians, the time was coming to an end. The personal application I got out of this was that God will show mercy and grace for a season, but if He is telling me to do something, only total obedience is acceptable. He does not compromise on what He asks of us. This is great! Thanks so much for sharing. I’m trying to be able to pull out the “meat” of the Scripture I am reading and learn from it. Still a work in progress!! Stick with it Cheryl. With the God-living Girls study coming up next month, I’m sure we’ll both learn a lot. The other material I’m using is from Proverbs 31 Ministries, their First5 app, which is currently covering Exodus, a chapter per day. I ordered their study guide and use it along with the app to dig into the chapter. Thank you so much for sharing your Bible study process. Since reading this, I’ve dug deeper as I read the Bible with http://shereadstruth.com. I’ve gained tremendous insight with both attempts. Sorry – my reply went before I was finished. I was saying there are many good Bible study programs available, and I’ve tried several. The idea is to find one that encourages you at this stage of your life and use it daily if circumstances allow. Barbara, what a treasure this post is. You have given the reader a simple, yet effective plan for entering into the study of God’s Word. It may not work for everyone, but it will work for many. I pray that others will read your post and use it to prompt them to study the Bible. Thank you for linking up at The Loft! Come back to visit us! Thank you, Leah. This is the pattern I now use most days for my quiet time, so I decided to share it. I realize it won’t work for everyone. Years ago when I was homeschooling, my personal quiet time in the morning was much more limited, so I had time to teach my daughter. I love that Moody quote! What good is reading it if it does not change us? Thanks for sharing the great resources ad well! Love these thoughts and love that cute plaque. It’s true about us older girls. We have to make the time too.